← George R.R. Martin writes Vampires? 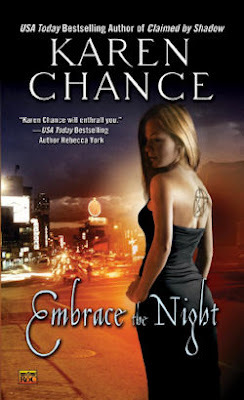 In this issue of “Interrogate the Author” I have yet another urban fantasy diva to present you and namely Karen Chance. Thank you Karen for your cooperation in this interview, otherwise we reviewers would be left with very little to do with our spare time. Now let’s proceed to the best part aka the questions, where Karen leaves everyone in suspense with short, but very promising answers about her writing career. 1. Hello again Karen. Let’s cut straight to the chase and start with the writing questions. So how and when did it occur to you to start writing? My first book was published in 2006 and written the year before that. I’ve always enjoyed writing, but for years I was a full-time student and also worked a full-time job, leaving me little time for it. Then I graduated and went to teach history in a university in Hong Kong for a couple of years, and discovered that there weren’t many recreational activities in the immediate area (I was in Tuen Mun, which is sort of the back 40 as far as HK is concerned). So I used my free time to begin writing for pleasure and things just evolved from there. 2. What did you originally write? Was it urban fantasy or something else? I’ve always done fantasy thrillers with a little romance and a little mystery thrown into the mix. They end up shelved in a variety of different genres, including even horror occasionally. But I think they fit the fantasy genre best. 3. How did the idea for the Cassandra palmer series come to you? 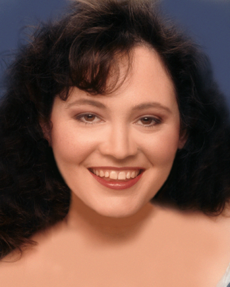 The usual answer is a dream like with Jeaniene Frost and Stephanie Meyer. Did the awesomeness visit you during your sleep as well? No, I can honestly say I have never dreamt up a storyline in my life. I suppose the idea grew out of my background in history and my desire for a different kind of character. No one in urban fantasy was doing much with seers, and I thought it might make for a fun dynamic. And the time travel aspects open up a huge range of potential plots. 4. As far as my Greek mythology knowledge goes Cassandra is one of the most talented seer back in her time. As the myth goes she was cursed by the gods to make the greatest premonitions and yet no one to believe her. Is there some parallel between this Cassandra and your Cassandra? Quite a bit, in fact. Cassie came by her position in a roundabout sort of way, and as the series begins, few in the supernatural community are willing to accept her or pay much attention to anything she has to say. Also, the original Cassandra wasn’t cursed by the gods so much as cursed by a god, the lover she’d spurned. He’d given her her ability and expected to control her, although that didn’t turn out quite like he’d planned. Something similar happens to Cassie, who also tends to be rather independent minded. 5. 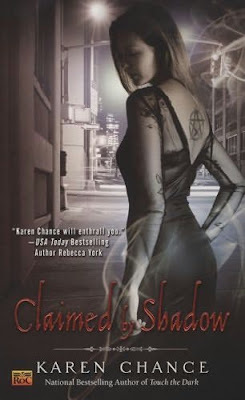 “Claimed by Shadow” in my opinion competes for most dynamic novel. Can you describe the process of vacuuming so much action in just 371 pages? Was it layouts, clipboards or something else? I don’t write out elaborate plans for my stories. I normally have four or five main plot points that I know need to be in each book, and the challenge is to present them in the most interesting way possible. But that tends to evolve naturally. I have more fun with it that way, and I think it makes for a stronger end result. The few times I have tried to force myself to write to an outline have not gone well. 6. Mythology seems to play a vital part in the series. How much of it featured is actual researched myth and how much is fiction? In particular the Pythia, Graeae and the runes. All of the points you mention are my interpretation of older myths. The Pythia’s position in ancient Greece was that of the most respected seer in the county, but she wasn’t a time traveler, obviously! I embroidered on the myth to create an unusual heroine. The Graeae, likewise, were the guardians of Medusa as stated in Claimed by Shadow, and their names and some basic physical features are as the legends describe them. But, of course, I gave them their distinct personalities and their quirks. The runes are actual Scandinavian runes and the story I included on their origin is also as legend describes. However, there are no such things as battle runes outside fi ction, so that was my twist on the old tradition. 7. How did you decide to involve famous characters from fiction such as Dracula, Casanova and real people like Rasputin and Bram Stoker? Were there any copyright issues? I have always been curious. Bram Stoker’s Dracula is in the public domain, so copyright no longer applies (books lose their claim to copyright 75 years after the death of the author). Anyone can legally write a Dracula story, and many have done so. However, even were that not the case, I highly doubt that anyone would bring a case against Claimed by Shadow! It bears little resemblance to anything Stoker wrote. 8. Well I am happy that at least one person enjoys digging up info. I usually get sidetracked by colorful art sites. Apart from Merlin, who I feel might make an appearance during Cassandra’s time shifts, do you plan to enter any more celebrities? That’s pretty much a given. 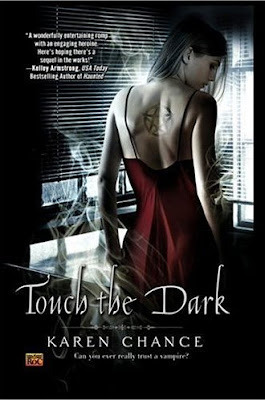 Cassie will meet many more people, both vampires and not, who may be familiar to some readers. 9. I think that we shall be having some “Guess the Historical Celebrity” moment. I am up for that. So now let’s wind time forward. How many books does the Cassandra Palmer series have until the end? And what are your future plans after that? I originally envisioned nine books–three trilogies each centered around a different theme. The first trilogy is now complete, concerning Cassie becoming Pythia. The second one begins with Curse the Dawn, out in April 2009. How many books there will end up being, however, I can’t say. That depends on how many it takes to tell the complete story. As far as my future plans, I’ve begun a second series, which together with the Cassie books should keep me busy for quite some time! 10. Speaking of your new series, what is “Midnight’s Daughter”, the first novel, about? As far as I can see it is set in the same world as Cassandra Palmer series. What are the prospects for this idea? Dorina Basarab is a dhampir—half-human, half-vampire. Subject to uncontrollable rages, most dhampirs live very short, very violent lives. So far, Dory has managed to maintain her sanity by unleashing her anger on those demons and vampires who deserve killing. Now Dory’s vampire father has come back into her life. Her uncle Dracula (yes, the Dracula) infamous even among vampires for his cruelty and murderous ways, has escaped his prison. And her father wants Dory to work with the gorgeous master vampire Louis-Cesare to put him back there. 11. From what I gathered so far during the first two installments in the Cassandra Palmer series, there is this strange geometrical love figure between Cassandra and Tomas, Mircea and even Pritkin for a moment. Do you plan to elevate this to a 3D figure like a cube? No. Cassie may have more than one man in her life, at least for a while, but it won’t be quite that complex! 12. So now let’s get a tad serious. Do you think that with the number of paranormal romance and urban fantasy novels increasing e very year, the market will saturate fast? I ask this because there are already several categories of clichés established. Are there? You know, I don’t have time to read much in my genre anymore, which is a shame. I have a rather large TBR pile, but with two books out a year, I haven’t had time to make much of a dent in it. As far as saturation is concerned, I think that fantasy is a strong genre and will continue to be so. Writers who don’t do their research or take time with their novels probably won’t last, of course, but that’s true in any genre. But good, well-written, fun books will always be popular. 13. Very well said. Class is difficultly destroyed. And to further the topic of clichés, what do you think are the most wide spread clichés in those genres and what are your pet peeves, when reading such novels? And on the opposite side, what is your favorite scenario? As far as clichés go, the only one I can think of that really bugs me is picking up a book that is advertised as a fantasy only to discover that it is something else entirely. This happens most often with romance books that have a few fantasy trappings scattered around (because that’s what is selling right now), but which are clearly not fantasies. Of course, that may be more of a problem with marketing departments misrepresenting a book than with the writers. 14. If the market does saturate and you find yourself with a literary niche, do you have a backup genre you want to write in? Historical mysteries would be fun. I like Lyndsey Davis’ Falco books and the Cadfael mysteries, so doing something along those lines would be fun. 15. Here comes the last question in the bunch. What kind of writing advice can you give to aspiring writers apart from writing and reading constantly, which is the most commonly used advice? Well, it helps to get out and see and do as much as possible. At least, it does for me. The more I travel and experience, the better I tend to write. You just have so much additional material to draw on. But, of course, persistence pays, too. People tend to think that you are born with the ability to write or you aren’t. There are prodigies out there, certainly, and also people who are never going to make writers no matter how much time they spend on it (rather like me trying to play music—I just don’t have the talent). But I suspect that many people fall somewhere in the middle. They have ability, but it needs to be fostered and trained. But a lot of them won’t stay with it long enough to gain any polish. It’s a shame, because there are probably a lot of good stories out there that aren’t getting told. As the traditional finishing touch of “Interrogate the Author” I have included Karen’s site: Take a Chance or as I like to call it: Spooky Castle. There a very inviting demon will welcome you with open arms to Dante’s.